7 - How to get started? 7.1 - Which business problems need to be tackled? 7.2 - What is the business use? 7.3 - What are the business requirements for master data governance? 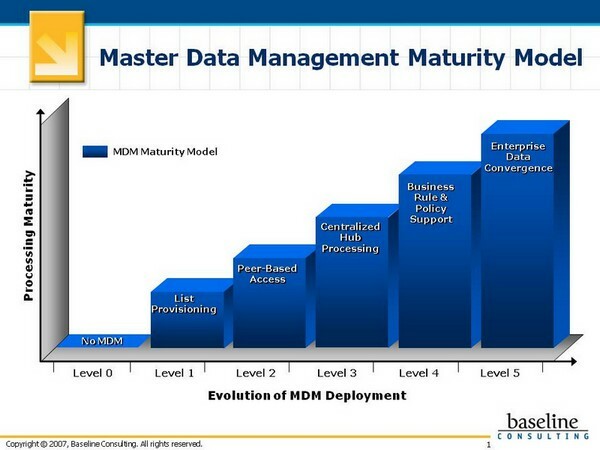 Master Data Management (MDM) solutions are considered to hold the master for any given entity. keeping multiple source silos in synch in a BPM / real-time fashion. However, most large enterprises have a heterogeneous application portfolio, with fragments of often inaccurate, incomplete and inconsistent data residing in various application silos. No comprehensive system contains the single view or is designed to manage the complete life cycle of the master data. to improve order-to-cash, reliable master data needs to be synchronized back to operational systems—such as order management—to enhance the business process. Only a business focused approach can provide a complete MDM solution that addresses the specific business problem, provides tangible business value and significant ROI in a short-term timeframe. BI tools are only as good as the quality of the data they work with. Analyst Michael Schiff is still surprised at how many BI professionals still ignore this fact. Have strong facilities, in batch and real-time mode, for cleansing, matching, identifying, linking and semantically reconciling master data in different data sources to create and maintain the “golden record.” These facilities may be provided by the MDM for data vendors or by offering tight integration with products from specialist data quality partners. Set rules to determine where to source data and under what circumstances, including the ability to give preference to the most-dependable sources. Configure rules for comparing and reconciling semantics across data sources, matching and linking the data, and manage the merging and unmerging of customer records with full auditability and survivability. Ensure that business rules and associated metadata related to data cleansing are sufficiently visible to satisfy compliance requirements. Many leading organizations plan to use the new master database as the basis for new operational and analytical applications. In the enterprise service-oriented architecture (SOA) world, service-oriented composite business applications may consume MDM for data business services through Web services standard interfaces. MDM for customer data products should protect and complement the data layer with a layer of business services, at granular and more-coarse-grained levels, for accessing and manipulating the customer data that is built for an SOA environment, and exposing Web services interfaces. In addition, there are some scenarios (such as collaborative centralized authoring or data quality improvement of customer data) in which MDM for data systems require a collaborative workflow capability and need to support their own business process modeling capabilities. In other scenarios (such as forming part of a wider, end-to-end create-customer process), they need to interact with enterprise business process management (BPM) tools. As MDM becomes core to SOA strategies, this MDM/BPM suite capability may need to be reconciled with the enterprise BPM strategy. MDM for data products should be based on up-to-date, mainstream technologies and should be capable of flexible and effective integration with a wide range of application and infrastructure platform components (from one or more vendors) within the user organizations. They should be capable of flexible configuration into a range of architectural styles in terms of instantiation, latency and use of customer master data to enable it to satisfy such use case scenarios as consolidation, registry, coexistence and transaction scenarios. The vendors are also measured on the capabilities of their architectures to support global rollouts and localized international installations. The data also needs to be made available to the supply chain and contract management systems. And to ensure sales alignment, the MDM system needs to make customer and product information available to the data warehousing system for accurate and timely analysis and reporting. A synchronization with both operational and analytical systems may also be essential to effectively address the specific business needs of your organization. A multi-entity deployment (such as customer and product) and an architectural style that is not restricted to registry alone. The challenge in employing the concept of “return on investment” for justifying the funding of an improvement project is the ability to monitor, over time, whether the improvements implemented through the project are facilitating the promised positive impacts. To succeed, you should put together a balanced MDM program that creates a shared vision and strategy, addresses governance and organizational issues, leverages the appropriate technology and architecture, and creates the necessary processes and metrics. Two business processes within a company’s supply chain are experiencing problems—different divisions within the company are procuring direct materials from the same vendor at different contracted rates, and salespeople are competing for the same customer’s business. Next identify how business users will use the master data within their business processes to determine the most appropriate architectural style and usage modes to support the needs of the business users. 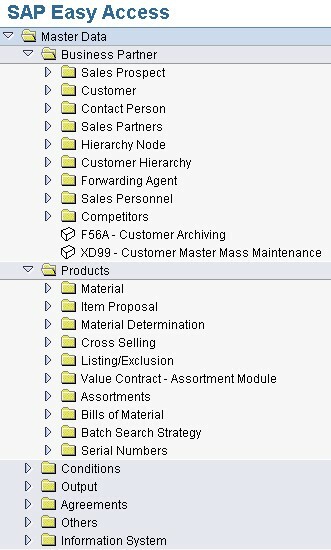 For instance, to ensure that the same contracted rates for procuring different direct materials from a supplier are made available at different touch points, the MDM system needs to reconcile conflicting vendor, contract, and direct materials data and then centrally store it—an architectural style analysts call coexistence or transactional. Finally, it is important to understand the business requirements for governing the master data to determine the requirements for master data availability, usability, integrity, and security. The procurement department will require a high degree of integrity for vendor and contract data, and will need to make this data available to procurement agents in real time. The contract negotiation team, on the other hand, may require the same degree of data integrity, yet not in real time. Similarly, the sales team would have a requirement that only sales managers are able to perform sales force alignment, while sales representatives only have access to information for their assigned territory. International Phone Numbers More extensive definition of allowable phone number formats. Can extend to specific country formats, etc.